Try the N4 Nasal Mask Starter Pack! All BMC Masks and accessories come with a 90 Day Warranty. All orders received by 2pm AEST are usually sent out on the same business day. Orders received after 2pm AEST are usually sent out on the next business day. BMC CPAP masks are the most affordable & premium quality CPAP Masks in the market. All BMC CPAP Masks that can be used with any Brand of CPAP or Fixed Pressure (Auto) CPAP Machine with the exception of the certain travel CPAP machines. 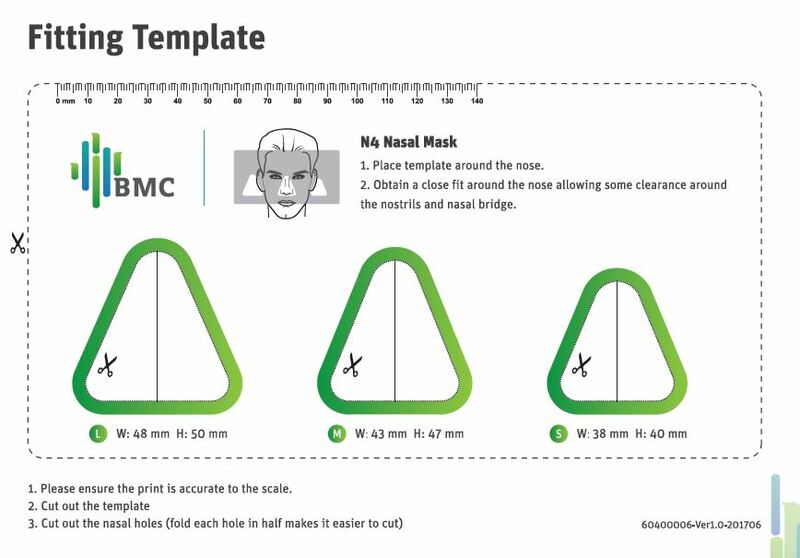 The N4 by BMC is a new lightweight Nasal Interface. The ultra lightweight and minimal design means the mask is easy to assemble, wear and clean. The innovative designed means the mask has more movement and flexibility, meaning there are minimal mask leaks. Most importantly it is light and comfortable to wear. Tried the N4 last night and it is brilliant just as good as the $300 masks. No leaks and fitted perfect.